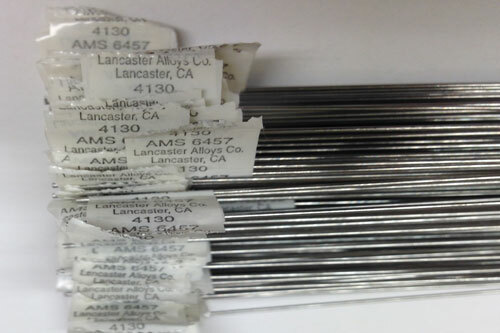 4130 VM per AMS6457 | Lancaster Alloys Company, Inc. The vacuum melted bare welding wire 4130 VM per AMS6457 – low alloys steel – is widely used in aerospace and many other critical applications to achieve lighter weight and improve weldability in highly stressed joints of low alloy steel structures,which are capable of being heat treated to a minimum tensile strength of 180,000 psi. Since minute inclusions and imperfections in highly stressed weld joints can act as stress raisers and lead to eventual fatigue and impact failures, a clean, sound weld will guarantee reliability and allow the designer to conserve weight by use of an efficient welded joint. 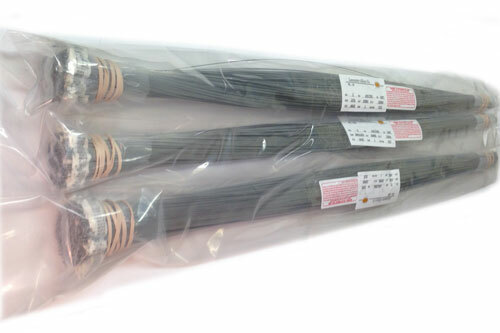 These requirements are met with the use of 4130 VM bare welding wire simply because the weld deposit has extremely low trace element content including interstitial gases (Oxygen, Nitrogen and Hydrogen), and is free from the inclusions ordinarily caused by the use of lubricants and shop grime left on the surface of the wire. Our bare 4130 VM is produced entirely without any lubricants and other foreign materials such as copper coating to meet all the requirements specified by AMS 6457. 4130 is normally welded in the armealed or overtempered condition, then the entire weldment is heat treated to the desired strength or hardness. Properly heat treated weldments are capable of achieving a very high strength and hardness. High hardenability makes it necessary to properly preheat the steel parts for welding, to avoid cold cracking and obtain a sound weld. Controlled preheat and interpass temperatures are necessary for the weld metal, as well as the heat affected zone, otherwise, both would be very hard in the as-welded condition. Welding at a preheat temperature below 400 degrees F requires that the Hydrogen, Sulfur and Phosphorus contents be kept extremely low in order to prevent cracking. The 4130 VM grade of welding wire accomplishes this by limiting the combined Phosphorus and Sulfur content to 0.012% and the Hydrogen content to10ppm. Sulfur increases the sensitivity of the weld metal to hot cracking, while Phosphorus reduces ductility and toughness and increases the sensitivity to cold cracking in both the weld metal and the base metal. Hot cracking in the diluted weld metal results from increasing the temperature range over which solidification takes place . This extended solidification temperature range increases segregation, which in turn reduces high temperature strength and ductility. These conditions, in combination with the shrinkage of the metal, can cause hot cracks in the weld metal, even in unrestrained assemblies. Hot cracks are encountered most frequently in craters in the first pass of multiple pass welds and in a concave fillet weld. Room Temperature Tensile Strength, p.s.i. Adjustment of the tempering temperature to produce the desired properties in a particular weldment can be determined by preliminary tensile or hardness tests. A low tempering temperature promotes high strength and hardness, but at the expense of low ductility and toughness. The combined Carbon and alloy content of 4130 is sufficient to promote the formation of martensite from austenite when cooled rapidly to below the transformation temperature. The Carbon content is sufficiently high to form hard martensite that may be brittle. During welding, a portion ofthe heat affected zone will transform to austenite. If the weld metal and the austenitic heat-affected zone are cooled too fast, they will transform to martensite or a combination of martensite and bainite. The internal stresses that develop during cooling due to contraction of the weld and heat-affected zone and the phase change (transformation of austenite) may cause hard martensite to crack. All of the heat treatable low alloy steels are very sensitive to Hydrogen-induced cracking. It is essential to minimize the presence of Hydrogen during welding as well as the formation of martensite. 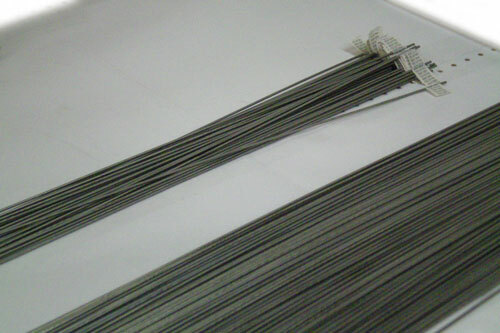 VM 4130 filler wire is especially suited for this purpose as it is free from all interstitial gases and other impurities. To prevent the formation of martensite, it is necessary to preheat the joint area to 600 degrees F or higher, so that the cooling rate of the weld will be slow enough to form softer bainite instead. This will have sufficient toughness to permit intermediate handling between welding and postweld heat treatment. Absolute minimum preheat temperatures for 4130 are 300 to 450 degrees F, depending on section thickness. Since these are too low for complete transformation to bainite, the weld deposit and heat-affected zone may contain some martensite and retained austenite. Postweld heat treatment is necessary to transform the austenite to martensite or bainite. 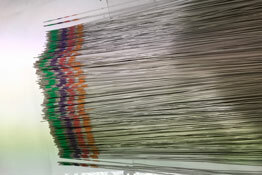 The ideal preheat temperature is about 50 degrees F above the temperature at which martensite starts to form on cooling. Holding at this temperature for a sufficient time after welding will result in a bainitic structure in the weld and heat-affected zone and permit dissolved Hydrogen to escape from thin sections. The volumetric expansion that takes place during transformation to martensite will not produce localized peak stresses at this temperature that may lead to cracking. However, temperatures of 550 degrees F or higher contribute to welder discomfort and promote the formation of a thin oxide layer on the joint faces which may cause unacceptable discontinuities in the weld. From a practical stand point, it is desirable to use a lower preheat temperature. Use of high purity 4130 VM filler wire, with its extremely low Hydrogen content as well as low joint restraint, will help to permit this. The interpass temperature must not be permitted to fall below the preheat temperature and postweld treatments must be performed before the weld is allowed to cool to room temperature. The heat treatment required immediately after welding depends on the preheat and interpass temperature and any subsequent processing prior to hardening. When the preheat and interpass temperature is below the transformation (Ms) temperature, the weld must not be cooled to room temperature until after it has been given a thermal treatment to avoid cracking. When immediate stress relief after welding is impractical, the welded joint should be heated from the preheat temperature to 50 – 100 degrees F above the transformation temperature. The retained austenite will transform to a reasonably ductile bainitic structure (rather than a hard., brittle martensitic structure) after about one hour at temperature. This will permit cooling of the weldment to room temperature without danger of cracking. If the weldment is to be stress relieved in the 1100 to 1250 degree F temperature range immediately after welding, it should first be cooled from the preheat temperature to a lower temperature where transformation of austenite to martensite will be essentially complete after holding for a sufficient length of time, without permitting the joint to cool to room temperature. The lower temperature can be determined from the Isothermal diagram for 4130. After transformation is complete, the weldment should be immediately heated to stress relieving temperature to temper and soften the martensite in the welded joint. After holding it at temperature long enough to accomplish this, it can be safely cooled without danger of cracking. After inspecting for discontinuities in the weld, repair should be accomplished (using the same procedures as for the initial welding) prior to final heat treatment. Final austenitizing, quenching, and tempering to achieve desired mechanical properties should ensure that all of the austenite transforms to martensite before the weldment is tempered. Since our special packaging allows the bare material to have a much longer shelf-life, there is now no practical reason to use the copper coated material. References for the above information will be furnished upon request. Manufacture of VM High Strength Low Alloy Steels (HSLAS) has improved the integrity of weldments in critical applications, made possible the elimination of copper coating and has reduced rejection and re-work to almost zero. 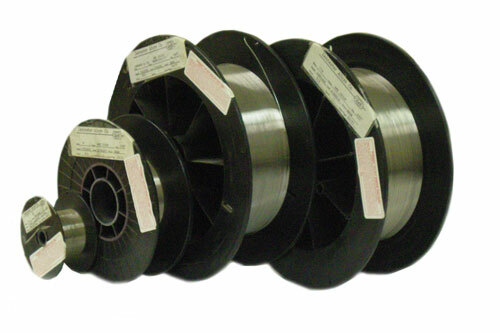 Please contact us for information on our full line of vacuum melted aerospace welding wire.